According to Business Insider and All Things, adding Microsoft advertising network, Facebook would be able to compete with Google. Facebook is in talks with Microsoft about a possible deal to buy the advertising Atlas, born from the acquisition of aQuantive by the Redmond company in 2007. This was revealed sites Business Insider and All ThingsD, citing sources familiar with the purchase of the Atlas could allow Facebook to increase revenue and also satisfy the Wall Street investors who were reluctant since its IPO. According to Business Insider, Facebook plans to use Atlas to add a network of third party sites that would compete with Google DoubleClick offers. The newspaper's website said that the economy failed attempts by other contenders to buy Atlas did not exceed 30 $ million. For its part, AllThingsD reported that Facebook had discussed internally the possibility to build a platform ad from scratch or acquire one as Atlas, and now he leaned for the second option . Microsoft has acknowledged that the agreement aQuantive did not work as planned. In May, the editor said he had spent a load of 6.2 million of billion since the addition of the subsidiary did not increase revenue as much as he had hoped. 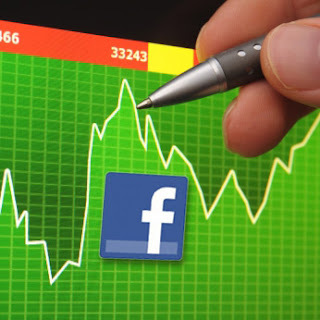 The IPO of Facebook was performed at 38 dollars per share, May 18, at a considerably lower because of investor skepticism about the ability of the firm to maintain its growth rate. Wall Street is a little warmer when the company released its third quarter results in late October, and showed significant growth opportunities of its revenue through mobile advertising. At that time, Facebook had stated that its mobile advertising sales accounted for 14%, or approximately 150 $ million of total revenue for the quarter, and growth in this area was accelerating. During the third quarter ends September 30 the income of the company rose 32% to 1.26 billion dollars. The company registered a net loss of 59 $ million, or 0.02 $ per share. The action of Facebook closed Thursday at 26.97$.